Maritime forecast of AEMET Islas Baleares. On the AEMET website we can obtain the weather conditions, up to 4 days, through graphic information with wind maps and wave height with image animation. It is the service for maritime navigation of AEMet in which the dates of departure and arrival are entered, the route is clicked on the map, and the information on wind and sea is obtained. 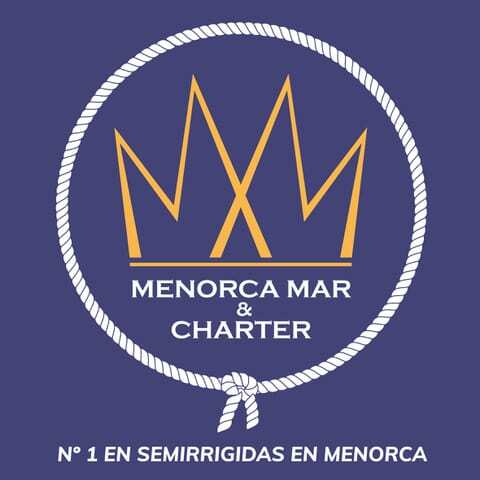 Menorca Radio (CCR Valencia – MMSI 002241024), channels 16 and 70, 85 duplex, and 06 simplex Sasemar. Weather bulletins by channel 16-85 at 06:10, 15:03 and 20:10 in summer, local time (-1 hour in winter). Notices to the navigators at 06:10 and 18:10. You must come as quickly as you can, provided that you do not endanger your own safety. Contact (VHF channel 16 or 2182 Khz) with the nearest Maritime Rescue Center or Radio Coastal Station and contact other vessels in your vicinity. If you do not have communication equipment, warn other nearby vessels with distress signals. If you can not help, go to the nearest port to report the situation. Find out about the weather forecast of the area where you intend to sail, avoiding the exit in case of bad weather or bad visibility. Inform us of your navigation plan, as well as the estimated time of arrival if it is earlier than 7:00 pm, in order to receive notice of any eventuality, thus avoiding a few hours that could be vital in any emergency. Do not embark on your boat more crew than allowed. Earth. It is forbidden to throw any spill into the sea. Carry the mobile with the battery charged and protected from water. Remember that the owner of the boat is responsible for the boat and its crew. Remember that precautions must be taken in port and that “professional” vessels have priority over recreational vessels. Remember that both in port and less than 200 meters from un-marked beaches or 50 meters from the rest of the coast, you must sail to less than 3 knots. Keep the awning down, as the speed would be seriously damaged. Remember that on the high seas you must maintain a constant and effective visual and aural surveillance to avoid possible collisions and / or collisions at sea. Moderate speed near the coast to avoid squaring against rocks that are close to the surface. Remember that the probe does not warn us of the dangers that are before us. It is a tool we use to anchor. Try to navigate at constant speed and do not make sudden changes of course. Do not hesitate to order the life vests at the slightest sign of worsening of the sea. Children should always wear the life jacket on. Whenever you can attack the waves obliquely, at 45º, avoiding to cross the sea, given how dangerous the rocking is; as well as catch the waves with the bow, giving pantocazos, bad for the crew and for the boat. Fortunately, there are more and more marine protected areas. Among the marine ecosystems, it is worth highlighting the underwater meadows dominated by the Mediterranean seagrass with oceanic Posidonia leaves. It is forbidden to anchor on the meadows of the marine plant in the areas classified as a Site of Community Interest (SCI) and Special Conservation Zones (SAC), there being vessels of the surveillance service against moorings on posidonia meadows centered on the areas of Grau, Son Saura, the marine area of the south of Ciutadella, Llucalari, Calecoves, Punta Prima and Isla del Aire. In areas of special protection it is not allowed to fish or dive with a scuba. Anchoring on seagrass meadows is prohibited. In the closed area for recreational fishing recreational fishing can not be practiced from the coast or from a boat. Professional fishing and scuba diving are allowed. In the rest of the marine reserve are allowed, regulated, professional fishing, recreational fishing and scuba diving. In Menorca there are two buoy fields available: Illa den Colom and Cala Fornells. It is forbidden to tie two boats in the same buoy. Reservations can be made until 9.00 am on the day of arrival to the buoy field. The mooring to the reserved buoy will have to be made between 12.00 and 18.00 hours on the day of arrival. The day of departure, the buoy will be free before 11.00 h. Payment must be made when making the reservation. If there are no buoys of the size of your length, you will be automatically assigned one of larger length, with the corresponding rate. Vessels with confirmed reservations that want to leave the field for a specific period of time should inform the field’s owner (channel 77 VHF). Otherwise it is not guaranteed that you will be free upon your return. When there is no availability, it is only allowed to anchor in areas of sand outside the perimeter of the field, preventing the anchor and the chain from damaging the posidonia. We must anchor only in places authorized for this, marked in the letter, taking into account the prohibition that both the anchor and the chain are on oceanic posidonia grasslands, heavily fined. We must remember that the priority always have bathers and divers, so the approach must be done at very low speed, less than 3 knots, since we are less than 200 meters from the cove or beach not marked. You must choose to anchor a cove or area protected from wind and waves, with a sandy bottom and between 4-7 meters deep if our depth or depth of the boat is about 50 cm, using the probe to check the depth . We should not anchor near other ships, being aware that, if the wind changes direction, all the boats will turn around their anchor, at different speeds depending on how their shapes are affected by the wind. The anchor is prepared, making sure that the end of the rope is tied to the boat, and the anchorage point must be reached without speed and against the wind. At that time we will drop the anchor and chain / rope to between 3 to 6 times the depth, more the more wind and waves we have. To avoid accidents with the propeller, nobody should bathe until the engine is stopped and we have verified that the anchor has caught well. Likewise, before starting the engine and lifting the anchor, all crew members must be on board.